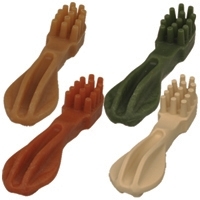 Why let your dog struggle with ordinary bones? 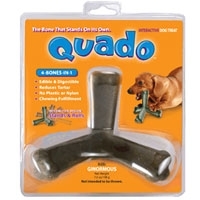 Quado's revolutionary interactive shape stands upright in any position, keeping one leg up for your dog to chew on. 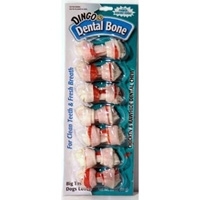 Dingo Dental Munchy Stix 10 Pack 5"
Light-chew rawhide…Irresistible real chicken breast and natural rawhide are grinded and molded into a delicious, easy to break apart chew treat. 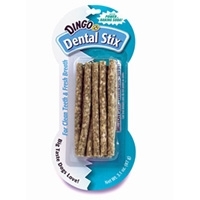 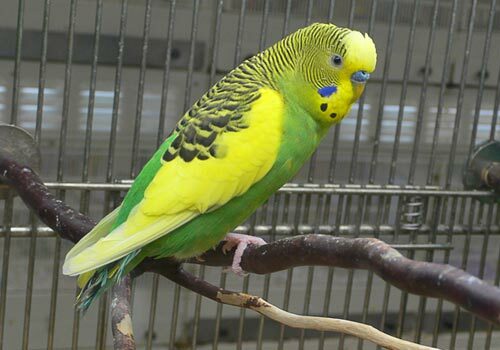 Satisfies natural chewing instinct while being easy to chew and digest. Great for all dogs. 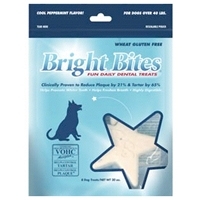 Ideal for puppies and older dogs. 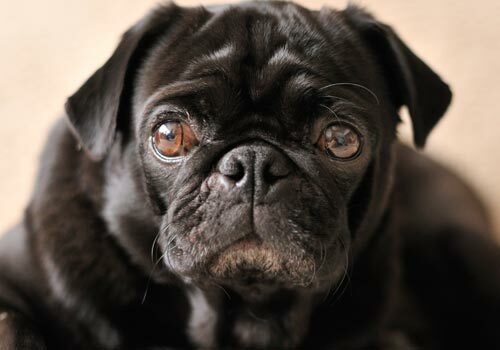 Give your dog something to smile about. 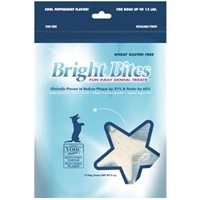 Bright Bites Daily Dental Treats are the fun way to care for your dogs teeth. 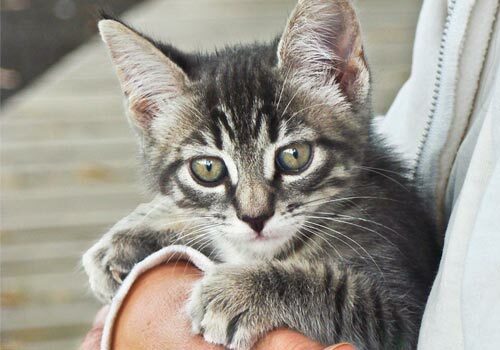 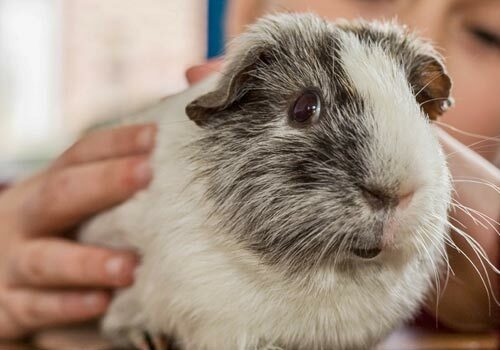 Developed by Veterinarians, Bright Bites help fight plaque and tartar, freshen breath and promote whiter teeth. 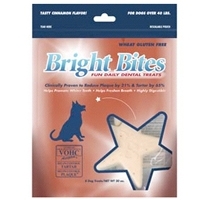 Most importantly, Bright Bites are wheat gluten free and highly digestible for optimum health. 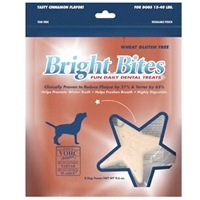 Bright Bites Daily Dental Treats are the fun way to help keep your dogs teeth free of plaque and tartar. 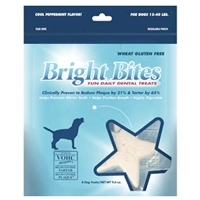 Your dog will love eating this star-shaped treat!